Flossing is ridiculously popular right now but not in the way that you think! I myself just learned how to floss last week but my teen son is still not impressed. If Fortnite is part of your current vocabulary you know what I’m talking about but I wish the other kind of flossing was just as popular with my kids. When my kids visit the dentist they usually leave with a message to floss more. There is always floss in the house, even fun little kids flossers, but if I don’t specifically tell them to floss well, they forget. 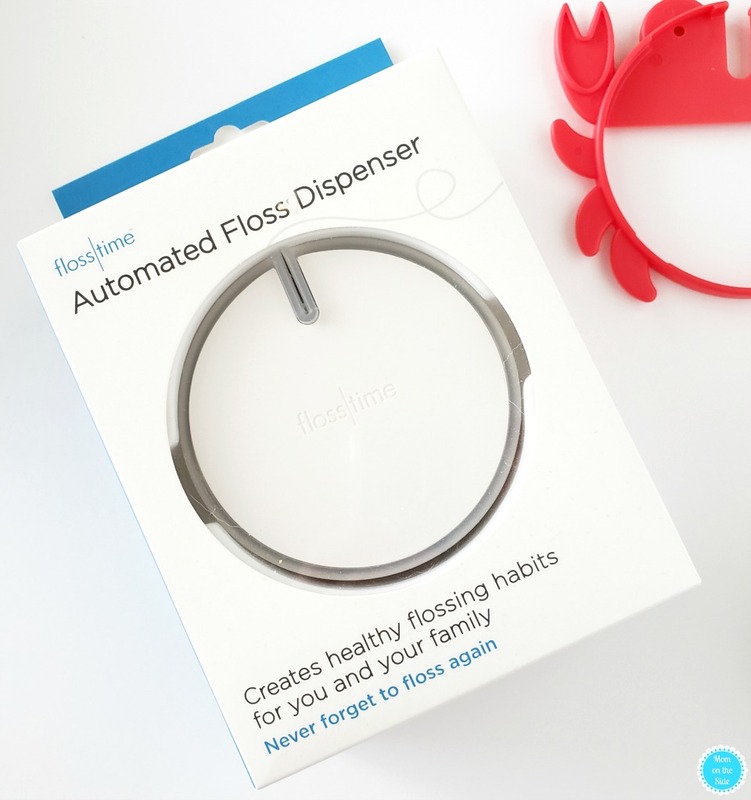 A great way to fight that problem is with Smilepronto’s Automated Floss Time Kit for families! 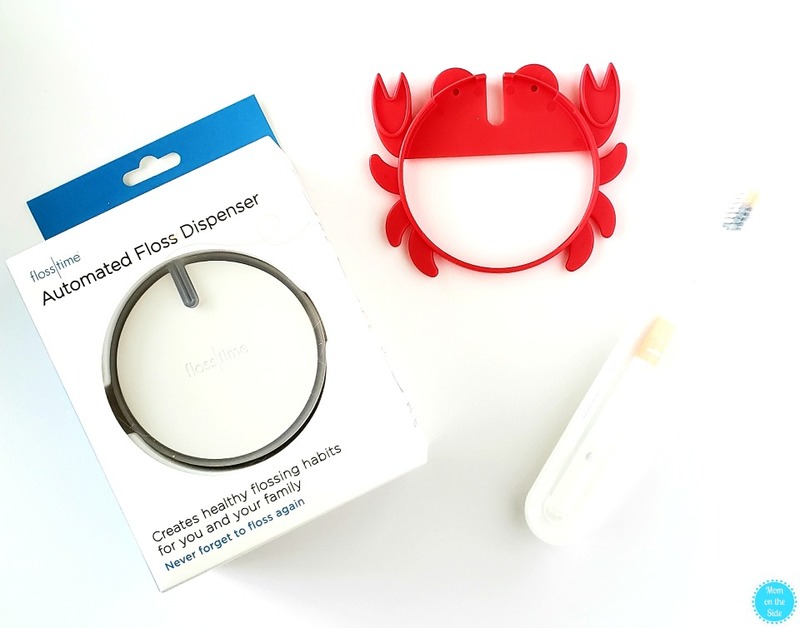 Yes, that adorable red crab above is the world’s only smart floss dispenser that gives you the perfect length of floss with just a tap of the finger. 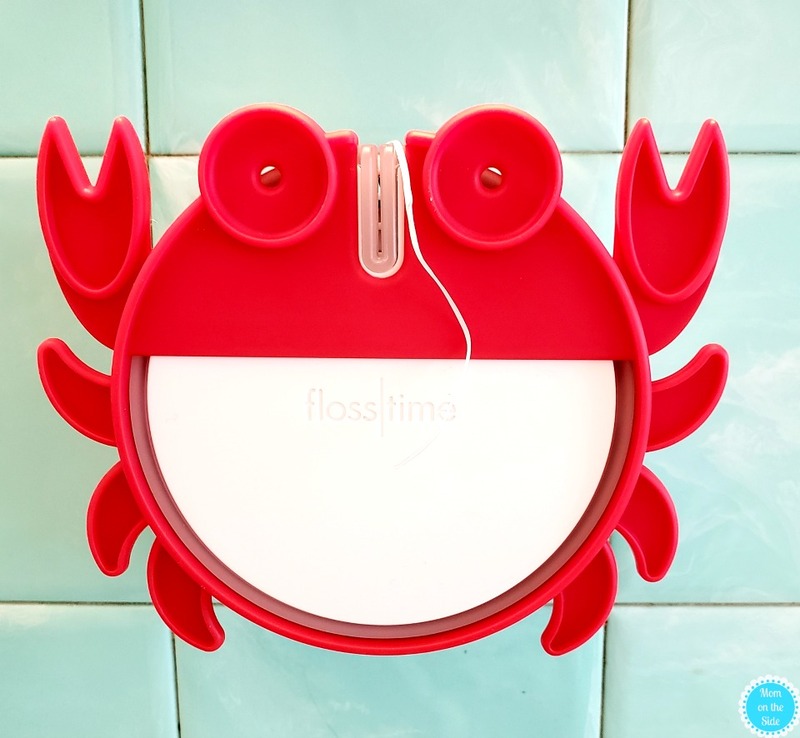 It mounts right to your tile or bathroom mirror and comes with fun animal snap-ons to help encourage kids to floss daily. It’s working for my 5-year-old twins who now want to floss several times a day and they get right on it when the LED lights frown at them for forgetting to floss. The Automated Floss Time Kit for families also includes replacement floss cartridges that last 3 months, a toothbrush, and a tin of tasty smart mints! Learn more at Smilepronto.com and make flossing easier for your family!